“Pink is the sweetest of all colours, it is the colour of happiness and femininity” Christian Dior once wrote. Bond Street shopper’s popular hangout, North Audley Cantine designers must have embraced this quote and used Helix French Curves when planning the small basement bar. NAC is a split level bistro serving small plates and lovely cocktails. 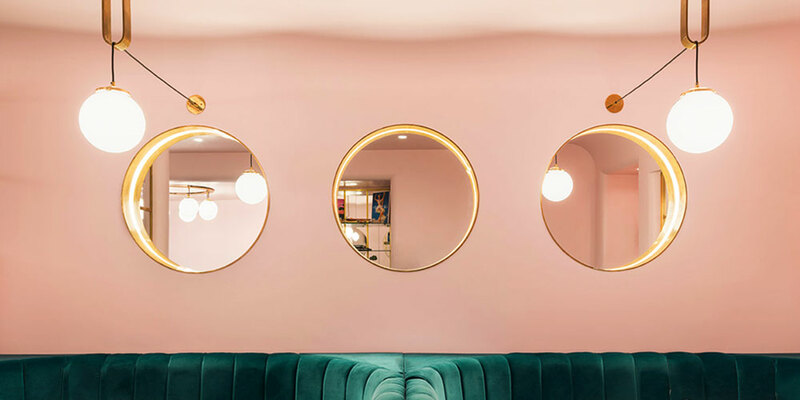 Ground floor is dominated by the white washed brick walls, brown leather banquettes and round mirrors, whilst downstairs bar is miniature version of Sketch restaurant. 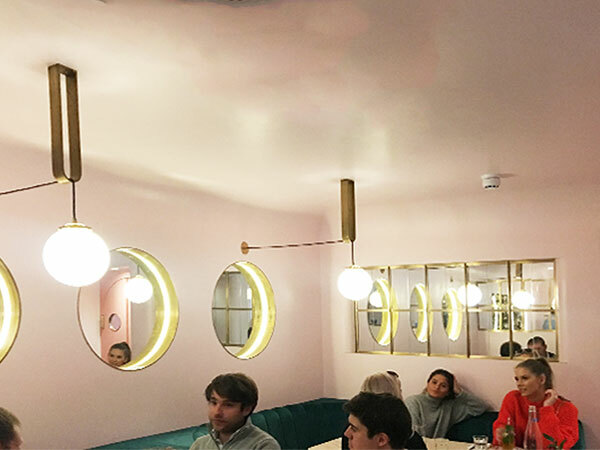 Blenheim Designers had to experience the new interior design of North Audley Canteen and taste couple of cocktails. 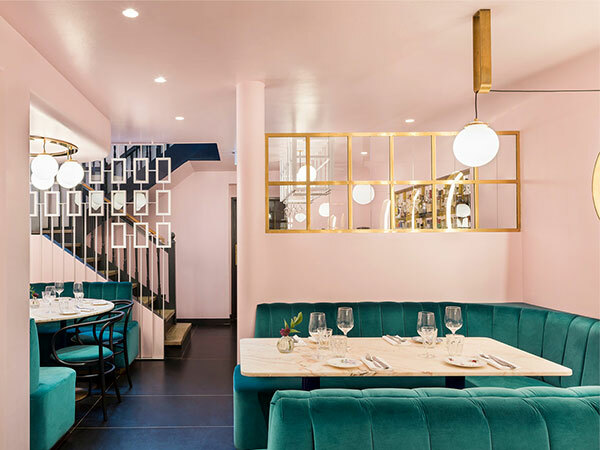 Think Rive Gauche in the heart of trendy Mayfair dressed using Marylin Monroe’s iconic pink dress from “Gentlemen Prefer Blondes”. 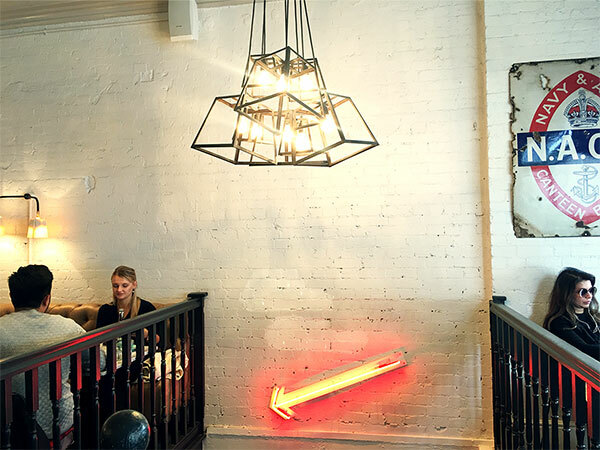 We noticed that the previously dark space with industrial touches was expertly transformed into a much lighter and curvier bar. Rounded shape booth seating was installed and upholstered in plush blue velvet which contrasts nicely with white marble table tops. Brass edged round mirrors were used to create an illusion of windows and add depth to an otherwise small space. 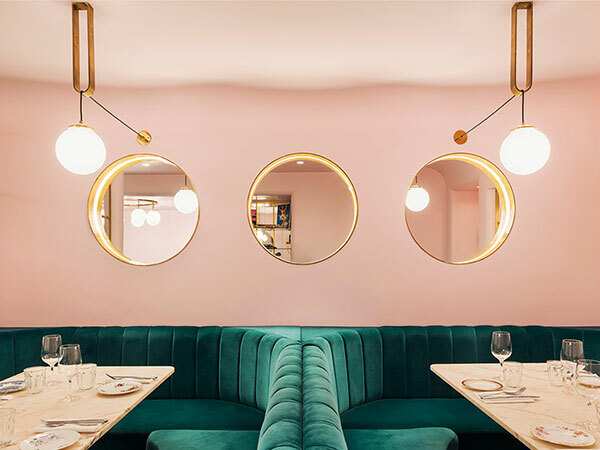 We at Blenheim Design like the modern take on the traditional Parisian brasserie lighting, opaque globes hooped through the bespoke brass eyelets. 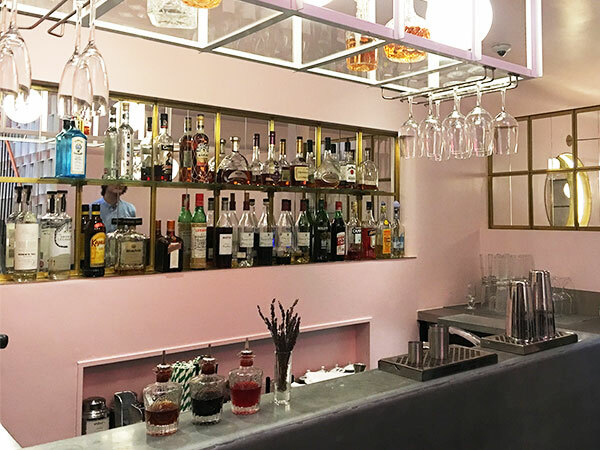 Bar is still small and separated from the seating by brass framed window housing bottles. Existing screen separating the timber stairs and newly glamourized booth seating is still in place and it fits agreeably into a whole scheme. Gold, pearls and curves, it is all here in this trendy Mayfair bar. Fitted by our friends at Bluecrow.